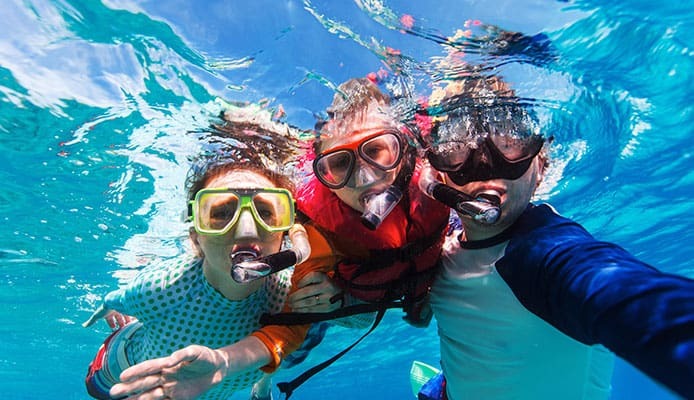 Snorkeling is a beautiful and healthy activity. You get to enjoy amazing wildlife and plants underwater. But if you are among people that have problems with their eye-sight, snorkeling just isn’t the same with a regular mask. Because it’s difficult to wear your glasses underneath the mask, you can miss out on many fantastic things. Luckily, prescription snorkel masks are now more and more common. Many manufacturers are trying to solve this problem which affects a significant number of snorkeling enthusiasts. You can now buy snorkel masks which have optical corrective lenses according to your prescription. No matter if you are near or far sighted, there is a solution available. 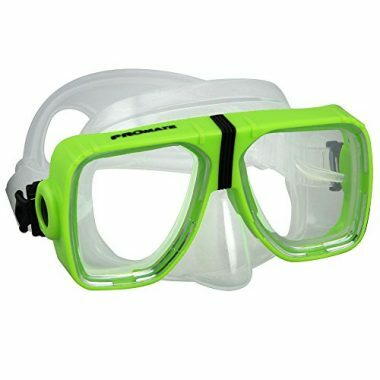 So, what is the best prescription snorkel mask? Check out our prescription snorkel mask reviews to find out. This is a great combo option. 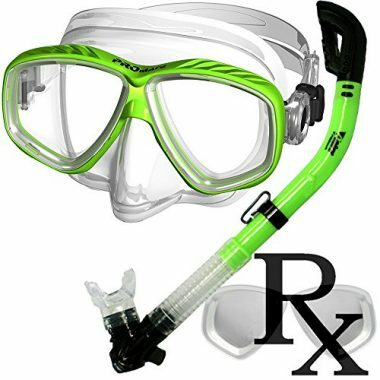 You get both a top rated prescription snorkel mask and a snorkel, while saving a little money along the way. You can get a wide range of optical lenses which are made from tempered glass. If you are unsure what to get or have a special request, you can contact the manufacturer. Whatever your choice is, you are getting a durable product. While the lenses are very good, they are not the only upside of this mask. It also has a purge valve on the bottom of your nose to easily remove the excess water by simply blowing through your nose. It’s made from soft silicone and it’s really comfortable to wear during longer snorkeling adventures. Also, the strap is split to give greater comfort, and the buckle allows the strap to be adjusted in different angles. While this review is about masks, this combo includes a very good snorkel also. It is a fully submersible dry top snorkel, which includes a one-way purge valve. The low section of the snorkel and the mouth piece are made from silicone and are very flexible. This is a snorkel mask that can be used by both adults and kids. Also, IST makes corrective lenses for near and far sighted people. They offer a big diopter range to meet your needs. Like the previous couple of masks, this one also has lenses that are made from tempered glass. The manufacturer claims they are shatter proof, making them really safe for your eyes. Like we mentioned, the mask is very adjustable. It’s made from soft, liquid-injected hypoallergenic silicone that provides a snug fit on every face. The buckles have a push button to quickly adjust the straps. They also rotate, allowing you to adjust the angle of the strap. The strap is wide, and split so you can spread it, dividing the pressure it creates on your head. This way the whole mask is more comfortable to wear for longer time periods. We start off with a great mask for people with sight issues. This prescription full face snorkel mask is as versatile as it gets. The corrective lenses offered by this manufacturer are made in a really wide range. They offer lenses for both near and far sighted people, as well as bifocal lenses. The bifocals are divided by a segment line, while near and far sighted lenses have the same optical focal point over the entire surface of the lens. Every lens is made from tempered glass which has undergone special treatments to make it more resistant to damage. Also, when broken, they break into chunks that are not sharp and therefore much safer for your eyes. The mask itself is made for adults with medium sized faces. Gasket and strap are made from quality silicone. You can choose from a range of different colored frames. 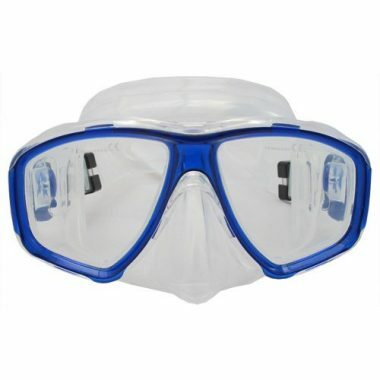 Another great product, this is a snorkel mask with prescription lenses for nearsighted people. The lenses are made from quality tempered glass and give you a great experience underwater. The facial skirt as well as the strap are made from crystal silicone, which is very comfortable to wear. The silicone is transparent while the frame is blue. This product comes in only one size, and is best fit for adults. A big plus for these goggles is the buckle design which allows you to quickly adjust the tightness of the strap. There is no point in having a snorkel mask with prescription lenses if water keeps leaking inside, and this mask is great at preventing this. You can order this mask by choosing diopter strength yourself, or if you are unsure or have additional requests you can contact the supplier. A very good product by Scuba Choice, this mask will meet your expectations. It is the same model as the second one on our list, but this one is for farsighted people. Like others, they offer increments of 0.5 to find a good solution for you, which is more than enough. There is a manufacturer’s guide on how to choose the right diopter for you. This magnifying snorkel mask is a very good product and worth the money you invest. When it comes to specs, like the model above, it has comfortable silicone gasket and straps, buckles that allow you to quickly adjust the fit, and lenses that are made from sturdy and durable tempered glass. This mask also only comes in blue. As with any highly customizable piece of gear, you should pay attention to certain things while ordering. You want to get a product that will improve the quality of your dive, not give you a headache. Also, since this is swimming gear, it’s good that the mask is comfortable to wear and prevents leaking. Take a look at our guide to find out more about how to choose the best prescription snorkel mask for you. Of course, the most important thing when buying a prescription snorkel mask are the lenses. Most manufacturers offer lense power in 0.5 increments, which should do the trick. There are lenses available for near and far sighted. Some of the products work well for astigmatism too, if it’s not too severe. You can have different lenses on each side, you just have to point it out to the manufacturer. Another important thing is that the lenses are safe and durable. Many suppliers offer lenses made from tempered glass, which makes them more resistant to impact and safer for your eyes. When choosing the best prescription dive mask and you already know which lenses you want, you should pay attention to some common things when buying goggles and masks. Since you are going to wear the mask for long periods of time, it wouldn’t be good if the frame or straps pressed on your head too hard, so comfort is necessary. Besides being comfortable, silicone used in making the gasket shouldn’t irritate your skin. It is also important that the mask creates a good suction with your skin, ensuring there is no leak that can be really annoying. Q: Do I need One Of These masks? A: If you want your snorkeling experience to be the best possible, you should really think about getting a product like this. It can be tricky to wear your glasses underneath the mask, and some people don’t like wearing contacts because water can leak inside and complicate things. This way you get a mask tailored for your needs so you can really see clearly underwater. 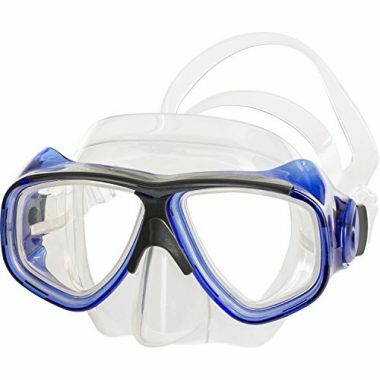 Q: How to buy prescription snorkel mask? A: This is done very easily. You either choose diopter strength in the menu or you contact the manufacturer, which is recommended if you have questions and need help. When placing the order, you should give them your prescription information you got from your optometrist. This way they make a product best suited for you, even with different lenses on each side. In conclusion, a diving mask with prescription lenses can really change your experience underwater. If you haven’t tried this sort of product before, use our prescription snorkel mask reviews to find out what to look for and which is the best prescription dive mask for you. There is a wide range of corrective lenses available, if you choose carefully we are sure you’re going to have a great time underwater! 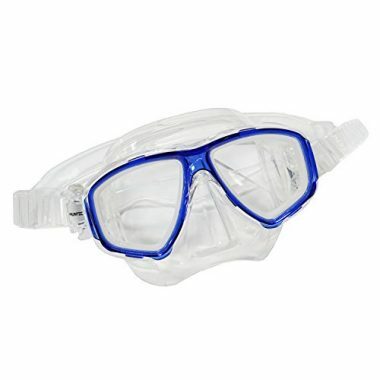 Have you tried a snorkel mask with corrective lenses that made it onto our list? How efficient was it in improving your vision underwater and helping you have a good time? Let us now in the comment section below.